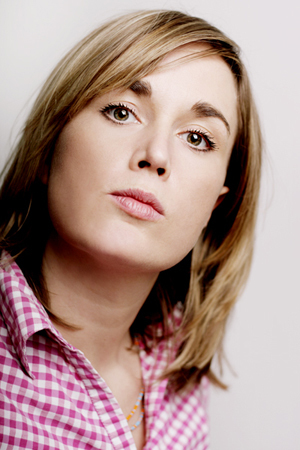 Caroline Mabey’s stand-up combines eccentric charm and mischievous banter with strong gags. She is an experienced compere and is resident MC at the 99 Club in London. Her three solo shows “One Minute Silence” (2011) “Eat Your Friends” (2010) and “Caroline Mabey’s Go Go Go Coffee Show!” (2009) have been big hits with audiences at the Edinburgh Fringe, and both shows involve interaction with her onscreen animated sidekick, Kip the Coffeepot. Caroline is available for corporate bookings and hosted the 2010 British Animation Awards at the BFI (previous hosts include Jeremy Hardy and Joe Pasquale).